No one knew this better than the people of the Orient, who transformed this knowledge into legendary traditions. These Oriental haircare secrets, which used to be at the heart of cosmetics for the empresses of the ancient world, are now yours thanks to Mythic Oil by L’Oreal Professionnel. 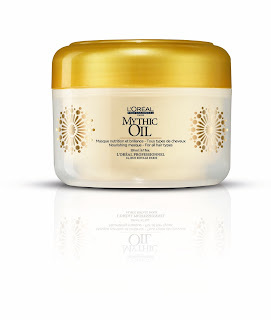 Mythic Oil, launched globally in 2011, took the haircare world by storm and continues to be the star product of L’Oreal Professionnel. And now, it is set to transform into a total haircare platform, with Rich Oil, Mythic Oil Shampoo, Mythic Oil Masque and Purifying Oils coming to the Indian shores. Turning sublime haircare gestures into enchanting, indulging moments, Mythic Oil promises you the biggest beauty asset a woman can have – strong, beautiful hair. Mythic Oil products have proven to be suitable for all hair types from fine to thick; so whatever be your hair type, we have just the right answer for you! Born through the confluence of L’Oreal’s hair expertise and partnerships with leading hairstylists, this is a multi-sensorial haircare experience that brings together ancient rituals and modern technology to appeal to your senses as well as your emotions. Rich Oil: Rich Oil is a perfect blend of two essential oils – Rice bran oil and Argan oil. While rice bran oil is known for its intensely moisturizing and regenerative properties, argan oil is known for deeply nourishing and disciplining properties. Together they are mixed in a rich, wrapping texture, which provides rebellious tresses with deep nourishment, anti-frizz protection and makes them soft, smooth, shiny and effortlessly detangled. Rich Oil can be used as both a construction and a finishing product. Shampoo: Mythic Oil Shampoo is an alliance of Argan oil and Cotton seed oil. The wholesome powers of cotton seed oil have been documented even in early Hindu remedy books, while argan oil has been the guarded beauty secret of European women. They come together to deeply cleanse and rejuvenate your hair. Also, the oily texture of the shampoo lends an opulent shine to your tresses and makes them look alive and radiant. Masque: The Mythic Oil Masque, like the shampoo, is a brew of argan oil and cottonseed oil. It is to be used as a finishing product, after a nourishing wash with the shampoo, for a comprehensive cleansing experience. Its rich, creamy texture gives a new life to your hair, making it glow like never before. The Purifying Pre-Shampoo concentrate is a powerful alliance of three essential oils – citrus oil, cypress oil and tea tree oil. As part of the Mythic Oil back bar service, the concentrate offers you an intense and refreshing experience. It treats your scalp with a gentle soothing effect and gives your hair a new vigor. So the next time you want to pamper yourself with a multi-sensorial, pleasure-driven haircare experience, right from salon backwash to home, ask for Mythic Oil by L’Oreal Professionnel! Really liked your blog. Thanks for sharing.